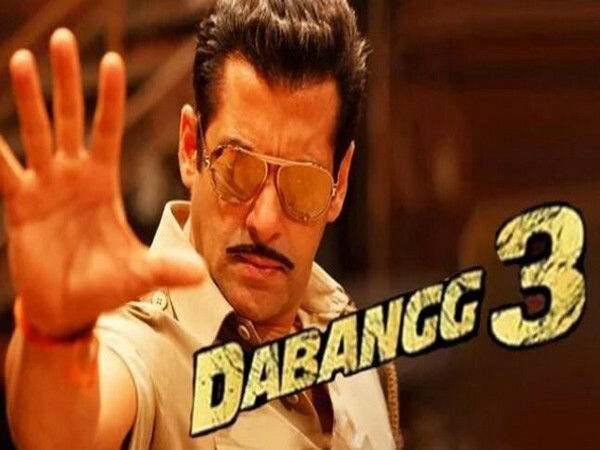 New Delhi [India] Apr 2 (ANI): Bollywood powerhouse Salman Khan is soon going to return as Chulbul Pandey with his upcoming film ‘Dabangg 3’ and has already started prepping for the film. Salman is successfully keeping his fans on their toes by sharing behind-the-scenes pictures from the film’s sets. Teasing his followers, Salman shared a new glimpse from the film’s sets on his Instagram account. ‘Dabangg 3’ is being helmed by Prabhu Deva. The film marks the second collaboration of Salman and the director, the two have previously worked together in ‘Wanted’. As per media reports, the upcoming film also stars Sonakshi Sinha as Chulbul’s wife and Arbaaz Khan as Makkhi. This is the third film in the 'Dabanng' series. The movie is being produced under the banner of Salman Khan Films and Arbaaz Khan Production. It is expected to release around Christmas, this year and may clash with Alia Bhatt and Ranbir Kapoor-starrer 'Brahmastra'.